Helios, Ra or Aton – to this day, the sun has a special meaning for us humans. Once highly revered, it is now used to supply us with clean energy on a daily basis. The hot-dip galvanizing works in the ZINKPOWER Group represent established partners to the solar/photovoltaic industry. Each year, we protect many thousands of tonnes of steel posts, angle brackets and longitudinal profiles. Our customers also appreciate our customised logistics concepts. We ensure that the components are galvanized in one of our factories close to the construction site, wherever possible, which reduces transport costs and helps to protect the environment. The galvanizing of orders is handled from a single point – from collection from the manufacturer to prompt delivery to the building site – with the best quality from every factory, worldwide. Read our references for yourself! Over 3,200 Sardinian households are supplied by two photovoltaic plants with a total output of 6 MWp. In a record construction time of only 4 weeks, around 330 tonnes of galvanized base frames were rammed into the ground, assembled and fitted with modules. In line with the mantra “clean electricity on clean land”, an 8.2 MWp photovoltaic plant was installed in Britz, Brandenburg. On the land of a former abattoir, the plant now generates electricity for around 2,900 households, according to the operator. Our customer’s team only required around 35 working days for the assembly of the approx. 350 tonnes of galvanized base frames. The approx. 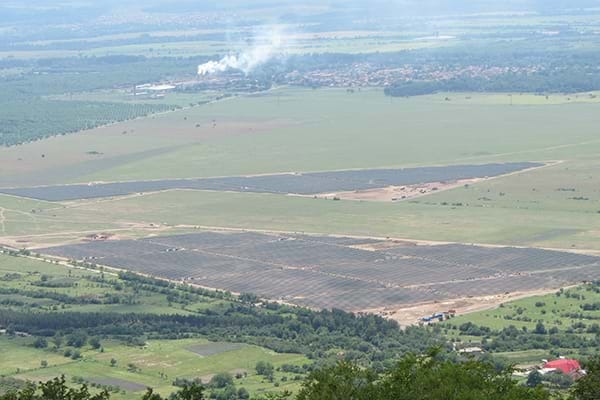 110 hectare photovoltaic farm is situated in the "Valley of Roses" near the city of Kazanlak. With an output of 25 MWp, it is one of the largest open-space PV plants in Bulgaria. In total, around 1,670 tonnes of galvanized base frames were installed here. In Saxony, the 6 hectare property of a former beef production plant was used for a 3.2 MWp open-space plant.